Every day, in classrooms everywhere, teachers grapple with the age-old challenge of how to capture the attention of young people and engage them with the things we think they should know about. In 1907, in the slums of Rome, Dr. Maria Montessori designed an experiment to tackle this challenge. 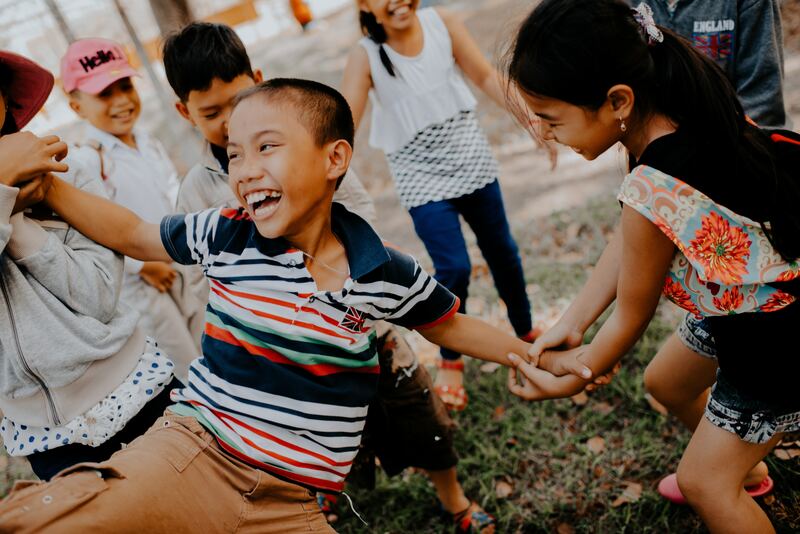 In a room housing about 50 very young street children, Dr. Montessori placed some carefully designed learning materials, showed the children how to use the materials, and then left them free to choose their own activity. These unlikely children made rapid progress, both socially and academically. They soon overtook their counterparts in schools where the harsh traditional methods of the era were in force. More than a century later Dr. Montessori’s experiment has become an educational tradition that spans the globe. It continues to be replicated in thousands of classrooms across the world. Recently more than 200 Australian Montessori schools celebrated the centenary of Montessori education in Australia. The majority of Montessori schools in Australia are preschools, but there are also quite a few that provide classes for children from preschool age to Year 6, and in some cases to Year 10 or Year 12. Montessori classrooms are filled with materials designed to spark interest and purposeful activity. Children are free to choose their own materials and to work with them for as long as they wish. At the heart of the Montessori approach is the view that children’s freely chosen activity builds independence, self-discipline, and the ability to concentrate. Montessori teachers are trained to observe children’s activity very carefully so lessons are matched to each child’s developing needs and interests. Each lesson is selected from an extensive repertoire of graded lessons and exercises. Using child-sized, but functional, objects—cloths, brushes, buckets, brooms, and jugs—children learn how to complete practical everyday tasks. In Montessori preschools children learn to write before they read, by tracing sandpaper letters and making words with movable alphabets. Once children know their sounds, grammar games involving lots of drama and movement speed up the transition to fluent reading as they move into primary school. Active games lead on to the study of mathematics. The same instructional pattern—independent exploration of concepts using concrete objects, learning the language and symbols for the concepts, and later discarding the concrete materials once the concepts are mastered—is applied across the Montessori curriculum, in music and science, creative arts, history, and geography. Older children apply this knowledge in research projects tailored to their interests. While Montessori classrooms around the world can be found in both public and independent schools, in Australia, Montessori schools are most often privately owned or community/parent-run independent schools, which charge fees. There are several Montessori classrooms in Australian government schools. All students in Montessori classes, whether in government schools or independent Montessori schools, are required to address Australian curriculum outcomes. For example, students in Montessori primary and secondary classrooms participate in external assessment such as NAPLAN. While the Montessori tradition can accommodate external assessment—in fact, Dr. Montessori realized children in her schools were achieving better results than their peers in mainstream schools because they sat external examinations—the results of this type of assessment are considered a by-product, and never a goal, of Montessori education. The results of external tests might be helpful information for teachers and parents, but are never used to punish, cajole, compare or praise students. Where Do Montessori Schools Fall Short? Children free to choose their own activity will learn little and become undisciplined. This criticism was first made in 1913 by Dr Geraldine Hodgson of the University of Bristol, who argued that Montessori “supplanted thoroughness and honest effort”. Montessori pedagogy emphasizes academic knowledge at the expense of creativity. This argument was first made in 1915 by American educator W.H. Kilpatrick, a supporter of philosopher and education reformer John Dewey. Kilpatrick dismissed Montessori as too atomistic and old-fashioned. The focus on self-discipline and academic subjects was thought to be outdated. The Montessori response to these criticisms over the last century has been to point out that liberty and discipline are interdependent. The more opportunities children have to build self-discipline, knowledge, and independence, the more freedom they gain, socially, intellectually and creatively. Can a Century-old Model Work for 21st-century Children? Maria Montessori’s century-old experiment incorporates traditions stretching back to the 18th century yet she was also the first progressive educator of the 19th century. By 1914 there were Montessori schools all over the world, including in Australia, when already influential academics were labeling the pedagogy old-fashioned. Nevertheless, Montessori continued to flourish. Schools were opened for World War I orphans in Paris and London. While Bertrand Russell was praising the active discipline at his son’s Montessori school in London, in Russia psychologist Lev Vygotsky was using Montessori methods to inform his famous learning theory. In a few years Anne Frank would benefit from the attention she received at the sixth Montessori School in Amsterdam. In Colombia, luckily for lovers of literature, Gabriel Garcia Márquez would overcome reading difficulties when taught the Montessori way. The founders of Google, Larry Page and Sergey Brin, are more recent graduates of Montessori schools. While the Montessori experiment continues to be replicated around the world, and anecdotes abound from those who have benefited, for many in the research community, Montessori remains at the margins of valued educational practice. Until recently, there have been few reputable studies evaluating the relative achievement of Montessori students. Does the continued widespread implementation of this century-old pedagogy by committed advocates demonstrate that Montessori benefits 21st-century children? To meet the perceived needs of today’s children, Montessori schools are often pressured to update aspects of the traditional program. Recent studies in the United States, however, tentatively point in a different direction. The Montessori programs that produce the most significant gains in student achievement relative to other schools appear to be those strictly implementing the traditional Montessori blueprint, unsullied by supplementary materials of more recent origin. Susan is a member of the English, Literacies, and Languages Education (ELLE) team in the School of Education at UNE. Within this group, she specializes in English language and literacy education, and educational linguistics. She is a member of the Centre for Research in English and Multiliteracies Education (CREME). Susan also has expertise in the field of Montessori education.